BabyQuip loves to work with strategic partners who are as committed to delighting vacationing families as we are! Here is a list of our wonderful partners! At HomeAway, our mission is to make every vacation rental in the world available to every traveler in the world through our online marketplace. With over 2 million unique places to stay in 190 countries, we're committed to helping families and friends find the perfect vacation rental to create unforgettable travel experiences together. Destination Hotels (Destination) is a collection of luxury and upscale independent hotels, resorts and residences across the United States and Caribbean. Offering authentically-immersed and enriching experiences, each property is individual at heart, yet connected by a commitment to drawing upon the best of each location. Highly distinct, the Destination experience is always memorable and matchless; guests will feel the locale in a genuine way through each property and during the engaging moments cultivated both in and outside of them. Continuously growing with more than 40 properties, the award-winning portfolio features 19 renowned golf courses, 18 indigenous spas, and 105 exceptional bars and restaurants. Destination Hotels are true to our place; diverse by design. For more information, visit www.destinationhotels.com. A coalition of leading family travel suppliers, resources and experts coming together to create a single, collective voice on behalf of the travel industry and those companies serving traveling families. We will help change the way families travel. 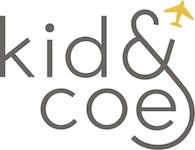 Kid & Coe is an award-winning family travel platform with an aim to make travel with kids simple. Offering a wide array of hand-picked accommodations around the world that suit families who love to travel, plus insight from local parents about how to get the best out of their destination, we’re revolutionizing how families travel. Our curated collection includes palazzos, luxury city apartments, beach houses and villas with a pool, steps from the beach. If you’re interested in forming a strategic partnership with BabyQuip , please contact our partnerships manager partner@babyquip.com.